Our Goal is to Provide the Best Periodontal Care Possible! 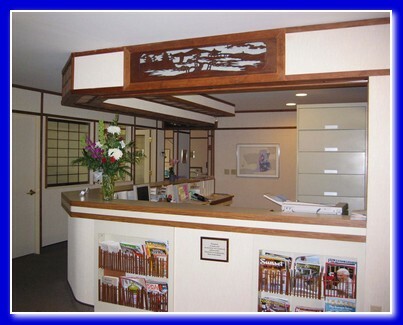 When you visit Dr. Kenneth Abe's office, your periodontal health is our top priority. Dr. Abe was one of the first in the nation trained in where surgery is performed utilizing a surgical microscope and designed to cause less tissue trauma and result in faster healing. We emphasize Minimally Invasive Surgery and Flapless Implant Placement to make your visits as comfortable as possible. Our entire team is dedicated to providing you with the personalized, gentle care that you deserve. Part of our commitment to serving our patients includes providing information that helps them to make more informed decisions about their oral health needs. This website is a resource we hope you’ll find both useful and interesting. Please visit our procedures, dental videos and smile gallery pages. We are centrally located in the southern San Francisco Peninsula in Los Altos near Palo Alto, Mt. View, Sunnyvale and Cupertino and 5 minutes from San Jose. Los Altos Periodontist, Dr Kenneth Abe DDS is a professional dedicated to excellence in Periodontics such as Periodontal Disease Diagnosis & Treatment, Scaling & Root Planing (Deep Cleanings), Periodontal Maintenance Cleanings, Pocket Reduction Surgery, Periodontal Antibiotic Treatments, Gingival & Osseous Grafts, Crown Lengthening, Dental Implants & more. Dr. Kenneth Abe in Los Altos, CA looks forward to helping you with your individual Periodontal needs.